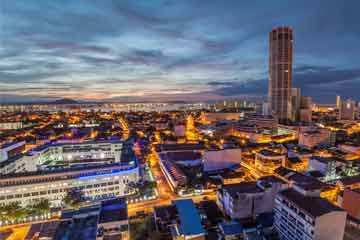 With its luscious subtropical jungles, vibrant city life and stunning sugar white beaches, it is no wonder that the South Asian country of Malaysia is an increasingly popular destination for both adventurers and holidaymakers alike. Tucked away in the tropical setting of South East Asia, paradisiacal Malaysia has a varied and vibrant culture for which you would be forgiven for thinking it belonged to two separate countries. To the west of the peninsula you will find the exciting capital city of Kuala Lumpur, the sixth most visited city on Earth. Here you can discover the world famous Petronas Twin towers and marvel at the stunning architecture of futuristic Asian skyscrapers. Journey across the South China Sea and you will find yourself in East Malaysia – a tropical paradise just bursting with adventure, situated on the island of Borneo. Here you will be able to venture into a Malaysia that is far less populated, enabling you to experience what many locals consider to be the ‘true’ part of the country. East Malaysia features an array of vast sub tropical jungles, which are home to some of the most rare and intriguing wildlife in the world. These subtropical jungles often lie parallel to stunning powdery white beaches that are just waiting to be explored. Malaysia is known throughout the world for its varied culture and breath-taking sights, so this is a part of the world that is suitable for every type of holiday, whether you want to spend two weeks relaxing on the beach or ten days experiencing some of Asia’s busiest cities. One of Malaysia’s highlights is its spectacular cultural history. Due to a variety of influences coming from ancient India and China, there are hundreds of incredible ruins from different eras dotted around the country just waiting to be explored. Another famous feature of Malaysia is its varied and delicious cuisine. Traditional Malaysian food is an authentic blend of spices and textures, favoured by travellers and backpackers alike. The food here is sure to tantalise your taste buds! If you want to try some authentic and traditional Malaysian cuisine then heading to the capital city of Kuala Lampur is a must. Ultimately, Malaysia is a country with many personalities: ancient but modern, technological but spiritual, proud of its heritage but culturally diverse - and somehow these contradictions all work to form an incredible country. 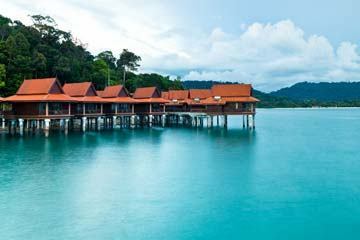 A holiday to Malaysia is something that needs to be experienced at least once in lifetime and with Destination2's discounted 5 star Malaysia deals you're sure to find a holiday to suit your budget. As it has a sub tropical climate, Malaysia enjoys hot weather all year round. However, it is worth noting that, again due to the climate, the weather in Malaysia is prone to warm showers from time to time. For the best chance at avoiding a tropical downpour, the best time to visit West Malaysia is during its dryer season, which runs from December through to April. 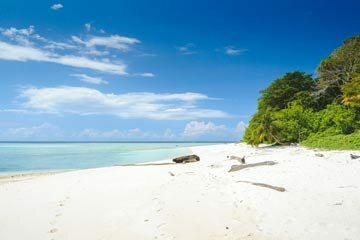 If you would like to visit East Malaysia then they enjoy their dryer season from April to October. However, it is worth keeping in mind that Malaysia as a whole does experience some rain throughout the year, so dry weather cannot be guaranteed. … you want to experience some authentic and vibrant Eastern culture, whilst having the option to kick back and relax on the golden sands. 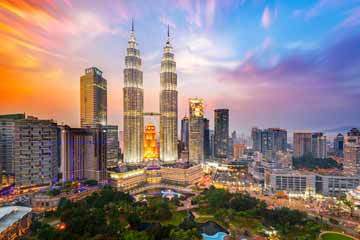 A cheap luxury holiday to Malaysia allows you to explore incredible cities like Kuala Lumpur, experience the modern side of Malaysia, while also experiencing the ancient traditions and spiritual side of the country.